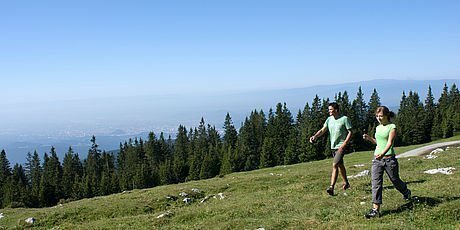 The Schöckl has always been known as the local mountain in Graz and due to its versatility, it has become a very popular excursion destination with all ages. 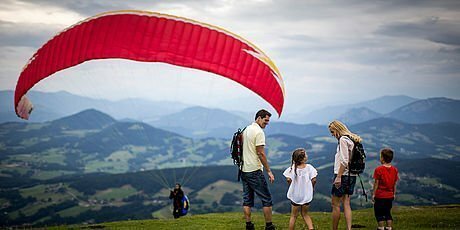 Summer toboggan run: The Hexenexpress is also located on the Schöckl, a popular summer toboggan run which provides an adrenaline rush for young and old alike. Disc Golf course: The recently set up Disc Golf course has 18 different runs – spread over 3.5 km – which are playable in winter and summer alike. Panorama trail:take a walk on this Alpine panoramic trail to relax after the stresses and strains of the day. It is also accessible to wheelchair users and prams thanks to a wooden runway. A visit to one of the many food establishments on the Schöckl is also worthwhile. Want to do your body a bit of good and now know that exercise is the very way to do just that. Close to the hotel there is a running route which proceeds through Leechwald. Starting from the Mariatrost Basilica, the trail heads up to Hilmteich-Schlössl.